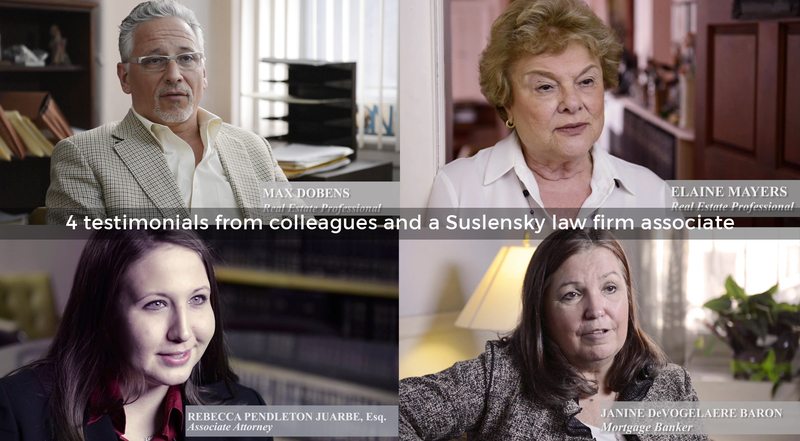 The Law Firm of Alexander Suslensky, P.C. 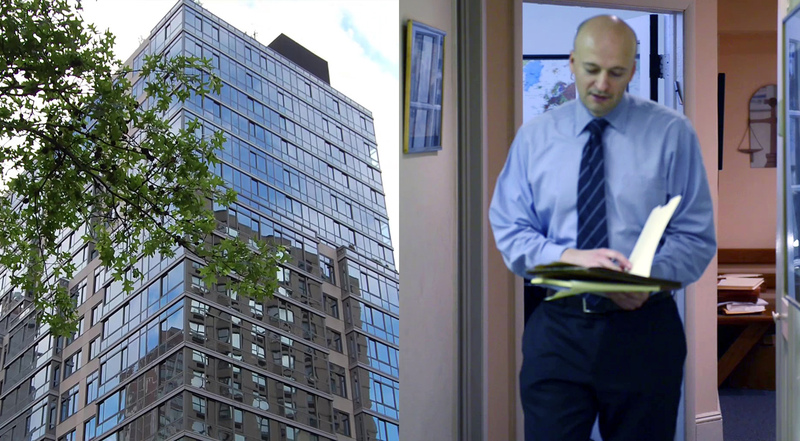 is a boutique Midtown Manhattan law firm specializing in residential real estate transactions. Alex is highly regarded as an expert in real estate and business law and is frequently quoted in The New York Times Real Estate Section and presents lectures on real estate law at The New York County Lawyers Assoc. and other venues. Our video showcased Alex’s expertise, his personalized client attention, and his high regard in the industry. Centered around Alex’s narration and colleague testimonials, the clip is fast-paced, with frequent cuts to neighborhoods, buildings, and activity in the city. 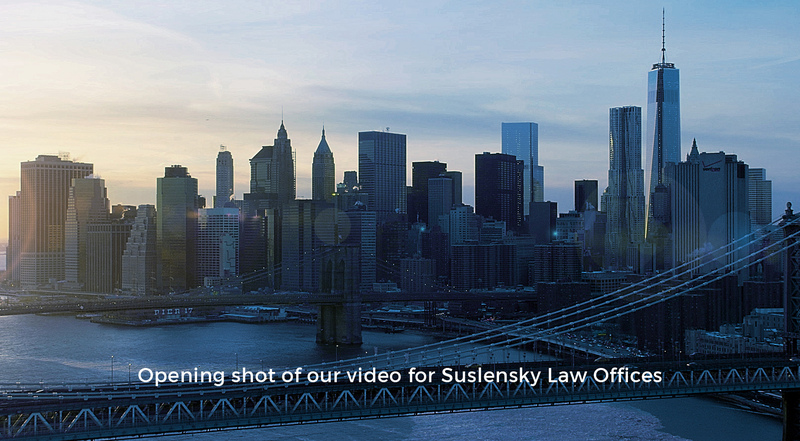 This reinforces the theme of NYC’s fast-paced real estate market, and the need for expert legal guidance. Filming took place at Alex’s midtown offices during the span of one day, as well as in several exterior locations throughout the city to capture the “B” roll. We wrote a script for Alex’s narration, and further “queued” Alex’s next topic for discussion with off-camera prompts. The new website was designed to house the video on the homepage, so that visitors could immediately play the clip and learn all about Alex’s practice before entering the site. 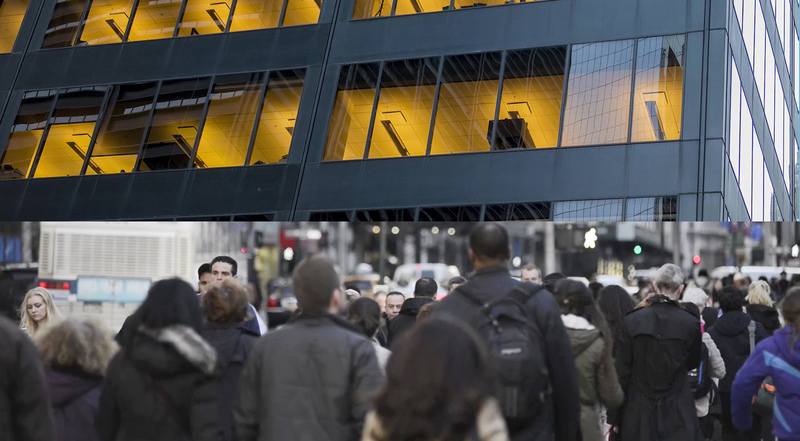 The engaging nature of the clip serves to build rapport with the visitor and “warms” any prospective leads, increasing the likelihood of a client conversion. 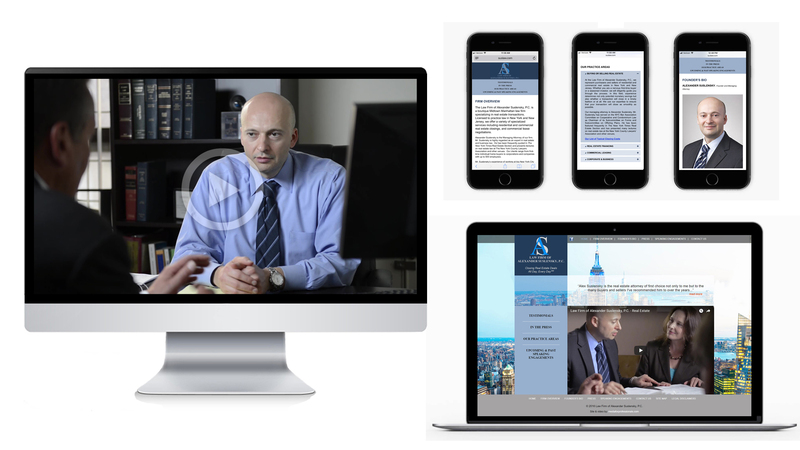 The rest of the website utilized the client’s existing logo, a full-screen modern design, and a Manhattan real estate theme. Practice areas are listed in an accordion style format (which open to reveal additional detail), to maximize space on the page. The site also includes a detailed bio, speaking engagements page highlighting Alex’s frequent talks, and pages for FAQs.